Authority Health › Diet & Weight Loss › How Does The Military Diet Weigh Up For Weight Loss? How Does The Military Diet Weigh Up For Weight Loss? While many fitness enthusiasts may opt for a rigorous exercise routine, a nutritious diet is far more beneficial to help achieve weight loss goals (1). Ensuring that you sustain a healthy diet is crucial to long-term weight loss and should not be ignored. However, finding a diet that works for you can be strenuous and time-consuming. There are several diets with varying goals and complexities (2). Some are great for burning fat while others are best for suppressing appetite. Knowing more about a diet and what benefits it offers will help you choose and stick to one that is right for you. 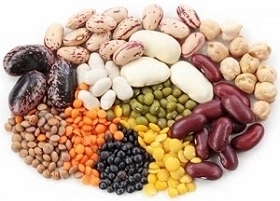 In this article, we discuss in detail one particular diet - The Military Diet. This diet is categorized by a low intake of calories and its goal is to promote rapid weight loss over the course of 7 days. The Military Diet often referred to as The 3 Day Military Diet, calls for users to consume suggested foods for 3 days and thereafter consuming no more than 1200 calories for women and 1500 calories for men each of the remaining 4 days. 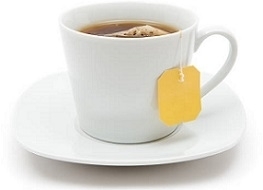 This will help maintain the weight loss accumulated during the first 3 days of the diet. Low-calorie diets are beneficial for short-term weight loss and are argued to be an extremely effective plan for kick-starting rapid fat burning. 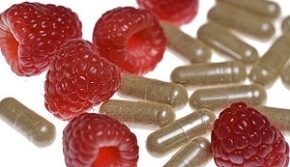 Combining these diets with weight loss promoting supplements such as raspberry ketones can prove extremely beneficial. The Military Diet is one of the more popular low-calorie diets to consider for quick results (3). The Military Diet is a low-calorie meal plan that aims to promote rapid weight loss by minimizing intake of calories over 7 days. Users are required to follow a specific meal plan for the first 3 days of the week and thereafter, limit calories to no more than 1500 per day. There are many complicated diets that can be extremely strenuous to follow. Diets such as the Ketogenic Diet (4) have several restrictions on specific foods and call for the user to consume specific quantities of different food groups for optimal results. While the list of benefits may be lengthy, these diets can be expensive and time consuming to follow. These diets are unrealistic for many consumers with busy schedules. The Military Diet is simple, easy and produces effective results. On top of that, it is extremely cost-effective. These reasons make this diet an ideal choice for consumers that do not have ample time to spare. Phase 1: The first phase requires users to consume no more than 3 low-calorie meals per day over the course of 3 days. The total calories per day should not exceed 1300. Users may not consume snacks during these days. Phase 2: The second phase requires users to consume no more than 1500 calories per day over the course of the last 4 days of the week. Users may consume any healthy meal plan and are not restricted to specific foods. Fizzy drinks and other beverages that are high in calories. These are just a few foods that are high in calories. Many other treats and everyday foods can be counterintuitive to the success of this diet (5). While there are several sugar alternatives for users with a sweet tooth, these will still hinder the effectiveness of this diet. Following The Military Diet is extremely simple and cost-effective. The clearly stipulated meal plan during the first 3 days of the diet can be purchased in one trip to the store. For the remaining 4 days of the week, users can consume any food provided that daily calorie intake does not exceed 1500. This caters to adventurous eaters who do not want food restrictions in their diets. You can consume whatever foods you like over the remaining 4 days however, these should not total more than 1500 calories per day (6). 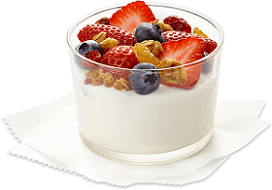 There are several beneficial foods, such as yogurt and chicken, to consume during these days that will improve diet results . These are just a few mental and physical health benefits of following this diet (8). This diet has several benefits including effective weight loss, suppressed appetite and raised metabolism. This is a great diet for those wanting to promote rapid weight loss over a short period of time. What Are The Downfalls Of This Diet? While this diet offers users significant weight loss benefits, these do not come without risk. The risks outlined below should be considered prior to following this diet. It is important to note that no diet is completely free of risk as individual reactions to food may vary (9). The pros clearly outweigh the cons. However, long-term use of this diet is not advised. That is primarily because of the fact that this diet is intended for short-term use. Ensuring that you follow this diet as recommended will help minimize the associated risks. While this diet does have a few negative side effects, these are only really noticeable in long-term use of this diet. This is not recommended and therefore, users should not experience significant negative effects. Should You Try The Military Diet? The Military Diet is simple to follow and cost-effective. It is proven to provide rapid weight loss results. If you are looking for the easiest and quickest way to promote weight loss then this would be an ideal diet for you. However, dieters looking for a long-term weight loss solution should be wary of sustaining this diet beyond a few weeks. The diet stipulates the consumption of specific foods over the course of 3 days (10). Adventurous eaters may find this repetitive and boredom may discourage the continuation of this diet. Preferences are entirely individual, however, this diet does provide optimal weight loss potential quickly.